1. Discuss the first law of thermodynamics applied for a process. 2. Why compression ratio of petrol engine is low compared to diesel engines ? 3. Differentiate between DBT and WBT. 4. What are the desirable characteristics of a good fuel ? 5. Why alloys are preferred over pure metallic materials in engineering applications ? 6. Discuss how thin sheets are manufactured ? 7.Mention the importance of forging. 8. List and explain any three operations performed on drilling machine. Answer any two questions from each Module. 9. State and explain second law of thermodynamics. Give its application. ii) net work done where Cv = O.718 kJ/kg, Yair=1.4. 11. Sketch and explain the ideal cycle for petrol engines. 12.Explain with neat sketch the working of a petrol engine that produces power a single revolution. .
14. Differentiate between air motors, blowers and compressors. 15. What are the two types of refrigeration systems-? How they differ between each other in terms of the working principle ? 16. Differentiate between summer and winter air conditioning. 17. Sketch the different processes in a psychometric chart and discuss. 18. Discuss the classification of IC Engines. 19. Explain about MPFI,CRDI and Hybrid engines. 20. What are the different types of drives used for power transmission in an IC engine and compare between them ? 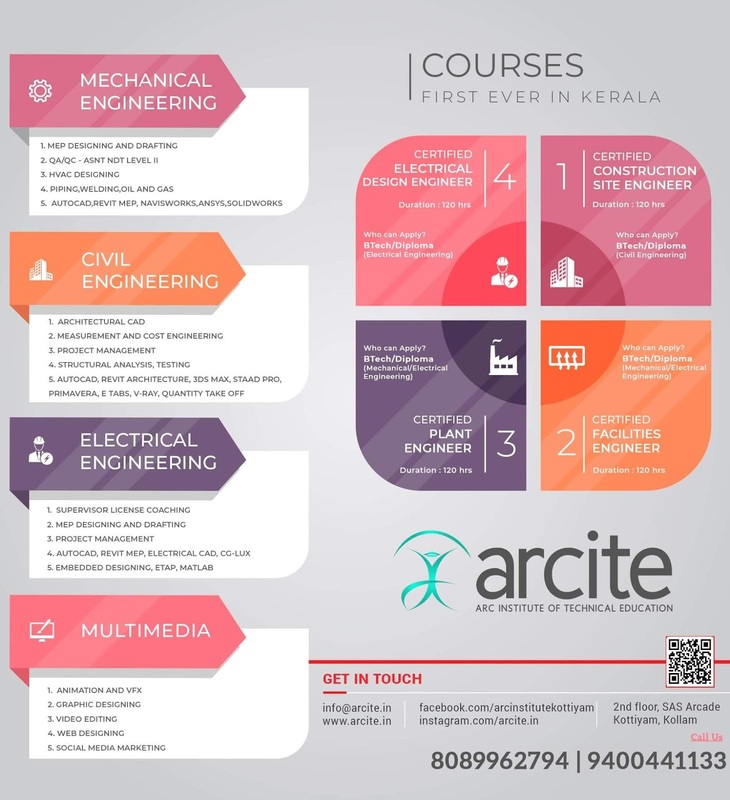 Answer any 2 questions from each Module. Each question carries 7 marks. 21. Write down the procedure for developing a mould for a component. 22. Discuss any two metal joining process. 23.Name five alloys and their applications. 24. Differentiate between NC and CNC machines. 25. 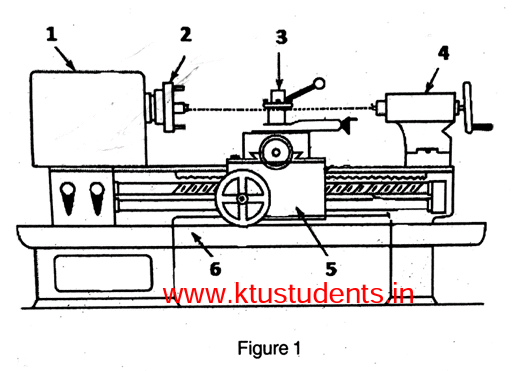 Identify the parts of lathe shown in Figure 1 and explain the various operations that can be performed on the lathe. 26. Discuss the operations which can be performed on a drilling machine.